It is my mission, my passion to inspire and enable folks to use technology tools more successfully, more creatively and more securely… as a way to help them more fully experience our world and bring their dreams to life. 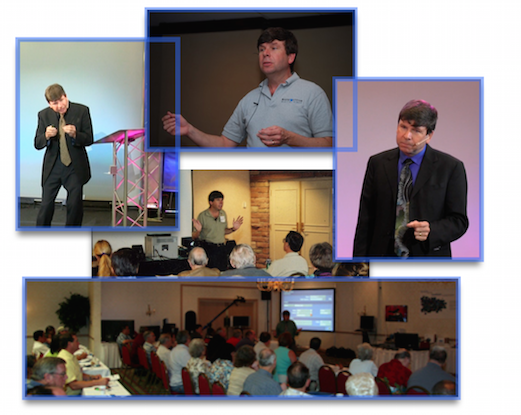 I would be delighted to bring Your Technology Tutor to your company, organization, or group’s next event… and enable your audience to feel more confident and become more capable using personal technologies. Please review the available topics for presentations which you will find under the top right menu titled ‘Speaking Topics‘. I am happy to have a conversation with you about customizing content to meet the needs and interest of your group – whether it’s a Keynote presentation, break-out sessions, or hands-on workshops. To contact me and inquire about your upcoming event,please send a message from the Contact Page – or you can telephone me directly at 415-595-9284.